As reality within Heart of the I.
Editor’s comment: These two lines are from the original and longer poem by Latha-ji. The Siva-Shakti image is from the Internet. 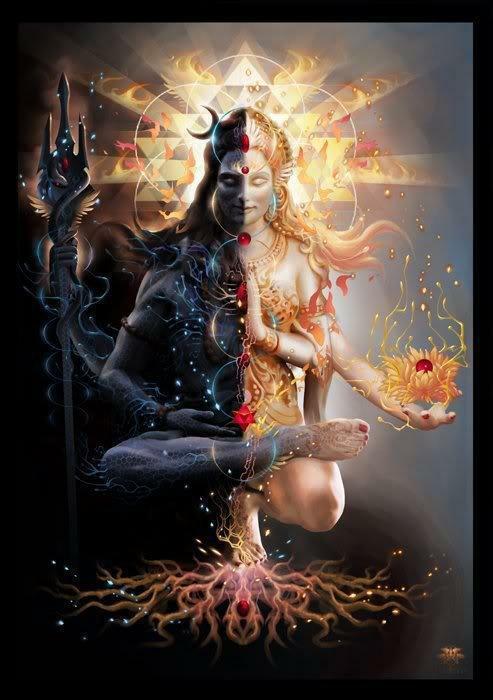 Siva-Shakti image is from the internet.